We’ve all at one point or another received that dreaded question from a customer: “Where is my Order? What makes dropshipping unique is that you are paying a supplier to handle the shipping of your products. This means that we’re not always completely as in touch as we need to be with the potential delivery times for products being ordered. If you don’t have an idea of when a customer’s order is supposed to arrive, you have no way of determining if the order is abnormally late or if it’s technically still on time. This is crucial information to know to successfully run your business and respond to queries from customers. Today, I’m going to show you how to calculate when your orders are expected to be delivered to your customer. Before you can accurately calculate when something should arrive, you’ll first need to know what the estimated shipping time frame is for your products. Depending on whether the product is from Oberlo Supply or AliExpress, how you find the shipping time will be slightly different. If you’re unsure how to tell if something is from Oberlo Supply or AliExpress check out the article I wrote about this here. Important Note: Oberlo Supply products have shipping time estimates that are in calendar days, so weekends should be included when doing calculations later on. Important Note: AliExpress products have shipping time estimates that are in business days, so weekends shouldn’t be included when running your calculations. This is mentioned right here. 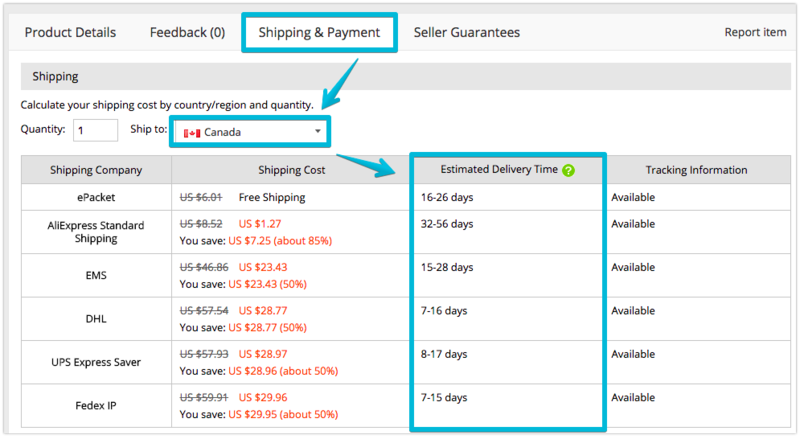 Now that you know where to find the shipping times, you can use this information to estimate the time frame for when the customer may receive the product(s). Keep in mind that Oberlo Supply uses calendar days and AliExpress uses business days for the shipping estimates. Generally, there is some processing time involved before the order is shipped out, so this time shouldn’t be included in your calculations. The processing time is the time it takes the supplier to get the product ready and ship it out. You should run you delivery date calculations based on the date the product was shipped by the supplier, not from when the order is first placed by the customer. With all of this in mind, we can begin! 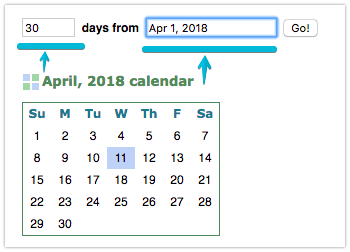 As shown in the image above, you can use the top date for calculating calendar days and the bottom date for calculating business days. I hope this helps anyone that is curious about how to determine when orders may arrive for their customers. Please feel free to share your comments or questions below! MattC WOW! I am really impressed. This is great. The community thanks you for this. Big time. This is great!! Thanks so much Matt!